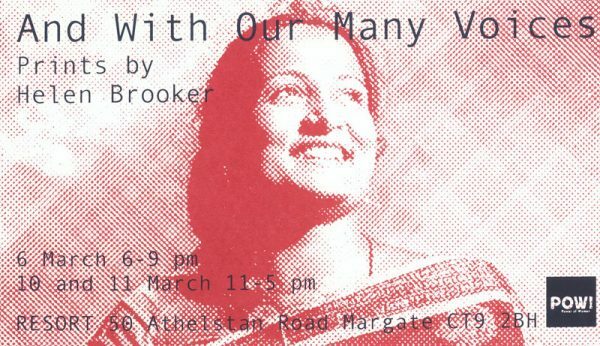 This exhibition by printmaker Helen Brooker celebrates the courage, tenacity and resistance of women who embody the idea of modern day suffrage, often fighting for the rights of other women, risking their own lives or being imprisoned for their actions. Her work incorporates the use of stitched textiles, since the activity of sewing and the tools required (needles, thread and scissors) hold significant symbolic references to repair, mending and restoration. All proceeds from the sale of handmade Afghan kites will be donated to Amnesty International.